Tonight, Clara, Emma and I went to an Italian restaurant, Zavino, for dinner. Although it appears to be a standard modern restaurant, its food is extraordinary. 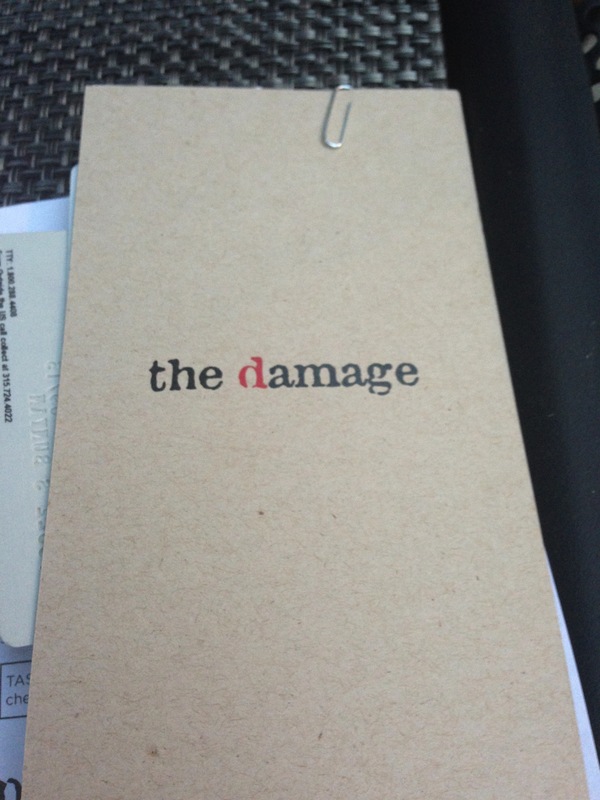 Perhaps it was because I was famished, but every single thing on the menu had me salivating. And you know what special item was featured on the menu? Squash!!!! As soon as I saw squash on the menu, I knew this restaurant was going to be a winner. In the past, I’ve found that most restaurants that offer either kale or squash are very health conscious, and I am almost always extremely satisfied with my meal. Tonight was no different, and of course I had to opt for one of the dishes featuring squash! 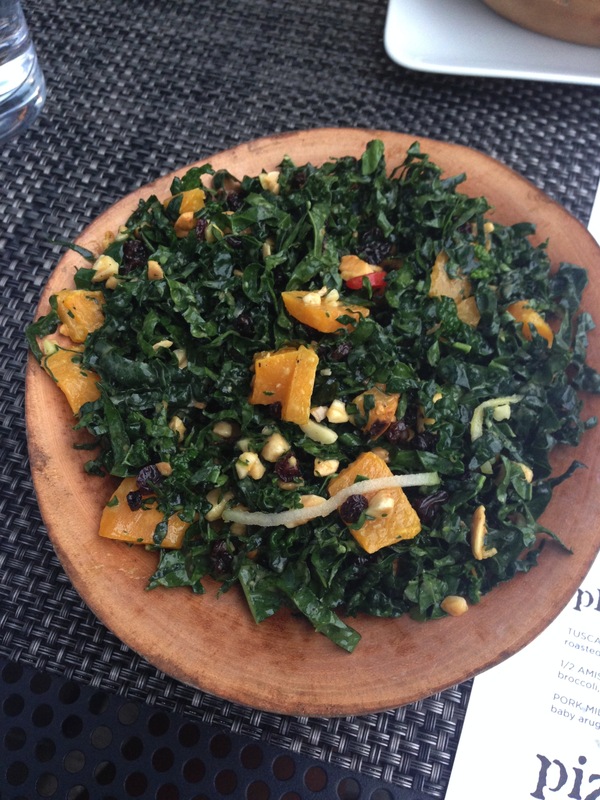 I ordered the kale and butternut squash salad, with raisins, almonds, and citrus vinaigrette. The difference maker in this salad was the finely chopped kale! It was almost shredded, such that I was able to eat normal sized bites, without being overwhelmed with large leaves and unevenly distributed dressing. 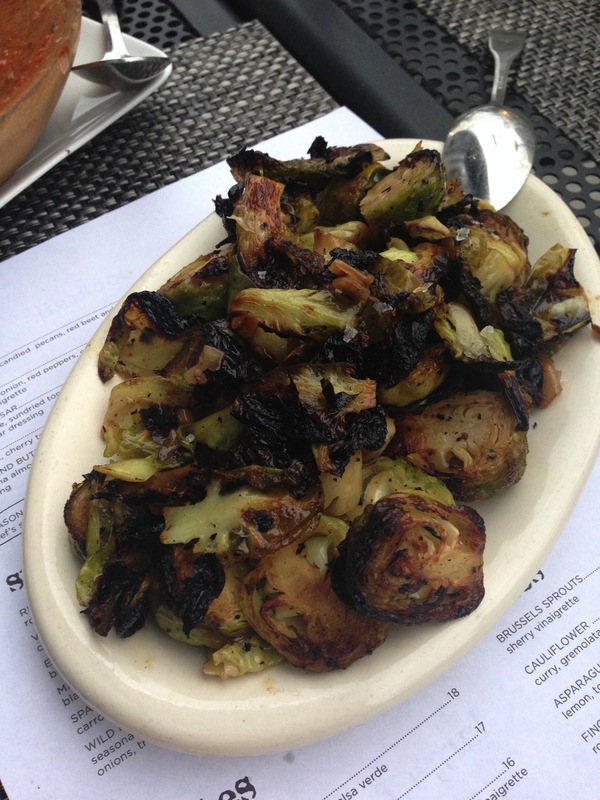 I also ordered a side of champagne vinaigrette Brussels sprouts which were equally as delicious. The three of us had no trouble polishing them off! The sprouts were perfectly roasted, and I believe they were mixed in with some sautéed onions. I love how simple vegetables can be turned into divine side dishes merely by roasting and lightly seasoning them. 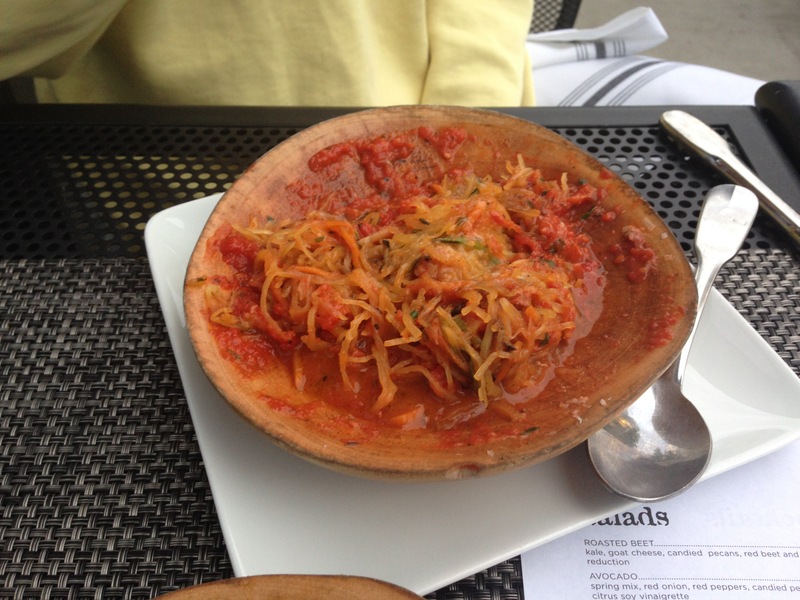 Emma ordered the other squash dish featured on the menu, which was spaghetti squash in a tomato sauce. I forgot to take a bite (although she offered), but judging by the fact that it took her all of 25 seconds to eat it, I am assuming she found no fault with her meal. It looks a bit unappetizing here because I snapped the picture after she had already mixed it all together, but don’t let the “messy brains” look fool you. I’m almost drooling just looking at it. 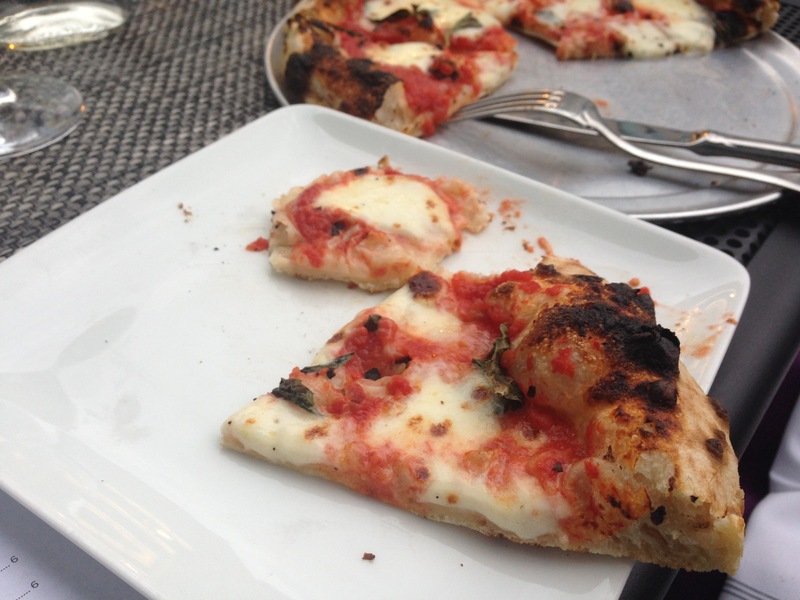 Clara ordered the Margherita pizza- a simple, classic, no-fail standby. I got to try a bit of it, and instantly felt as though I’d been transported to some pizzeria in Naples! (Okay, maybe that was the hunger talking, but it was really, really good). Gotta love some humour. Fortunately for us, Zavino is actually fairly well priced- great value for college students on a budget! Since we had fulfilled our veggie quotas for the day, naturally we stopped for frozen yogurt on our way back home. 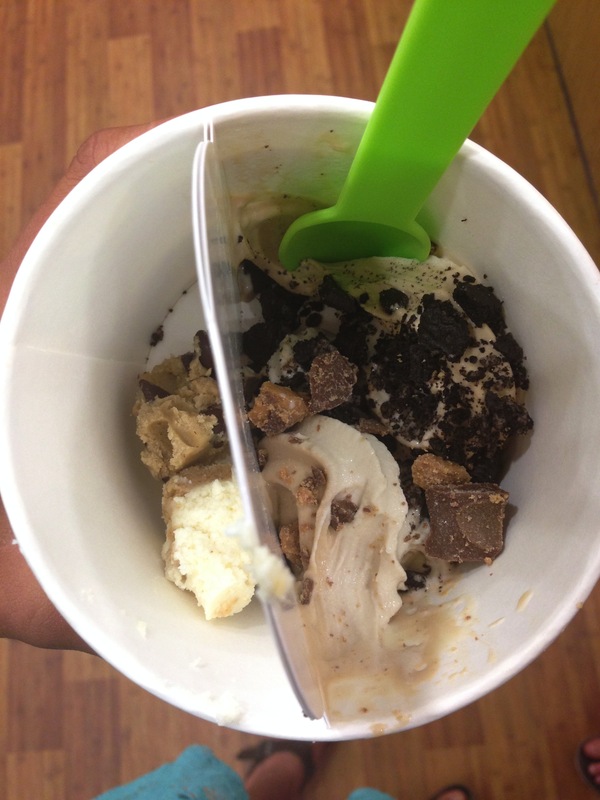 I got some salted caramel peanut butter fro yo, along with some Oreo pieces (majorly underrated topping!!! ), peanut butter cups, cheesecake pieces, and cookie dough. This might be the only time ever that I have not finished my fro yo cup, because by the end I really wasn’t feeling it anymore. Also much to my dismay, I found the cheesecake and cookie dough to be very subpar. Overall, a great evening with friends and good food (despite the inadequate cookie dough and cheesecake), and I am now ready to pass.right.out.